There's a refreshing, subversive effect in offering these pieces to the listener in a manner other than the mechanical, uniformly detached mode of playing that we too often must suffer when pianists play music written before Mozart. Classical Cult potential. Since the days of Glenn Gould there has probably been no piano recording so highly charged with individualism, so radically performed, and so consistently conceived. Another stunning album of pianistic Baroquerie, played by Barto with the freedom of a jazz player and the tonal palette of a born Debussian. More please! By the end of 2006, this CD will have become one of the most beautiful releases of the year. Klemens Hippel, Crescendo, April/Mai 2006, Crescendo Tipp. 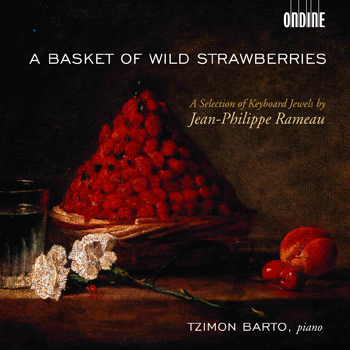 One has to admit that Tzimon Barto not only is a fantastic pianist, but also has a highly ingenious mind. (...) certainly an uncommon approach to Rameau, but totally convincing. I do not hesitate to acclaim this highly individual and fascinating interpretation of Rameau jewels (...) as one of the most beautiful and moving piano releases of the past years. Takes listeners to a marble zen garden in the morning.